Preece suffered too much damage from a blown tire in Happy Hour practice at Bristol Motor Speedway, and will have to go to his backup car for Sunday's Food City 500. With just 10 minutes left in final practice, Preece ran into some bad luck. The No. 47 Chevrolet Camaro blew a tire and caused lots of smoke to erupt from his machine. Preece limped to pit road to let his crew evaluate the damage. The damage was extensive enough to force the JTG Daugherty Racing team to pull out and start preparing the backup car. 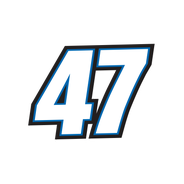 Preece will lose his starting spot and fall to the rear of the field Sunday at Bristol.